The hip joint has two very important functions: it keeps the body upright and provides locomotion. Disorders of the hip can lead inter alia to osteoarthritis, restriction of movement or other problems hampering normal functioning. The hip joint (articulatio coxae) is created of the head of the thigh bone and the surface of the lunate acetabular hip bone. Both of these surfaces are covered with hyaline cartilage providing flexible movement in the hip. 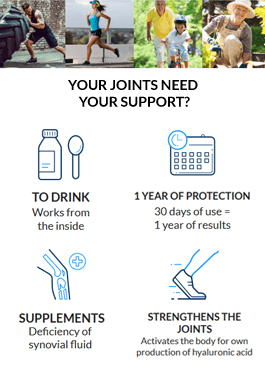 The rest of the joint is covered with synovial membrane - synovium, in which a liquid moisturizing the joint surfaces and ensuring smooth movement is produced. The whole structure forming a spherical joint is surrounded by an articular capsule reinforced with ligaments. The lower limb, as the movement and support organ, requires the strong apparatus of the ligaments to reinforce the joint capsule. Inside the capsule, a synovial membrane is located. The joint capsule, along with ligaments which reinforce it, can carry up to 500 kg. These three ligaments form the zona orbicularis which surrounds the femoral neck and reinforces the joint capsule. Femoroacetabular Impingement (FAI)- a disease caused by a lack of fit of the femoral head to the acetabulum , it leads to early degenerative changes in people under 55 years of age. - cam: movement disorders occur in respect to the socket, due to the shape of the femur head, which in this case is not oval. Femoral Head Avascular Necrosis (AVN) , also known as Perthes Disease. Necrosis affects only the femoral head. The disease is the most common in boys between 3 and 14 years of age. The causes of the disease are not known, the disease is the most likely to develop as a result of malfunction of the blood vessels surrounding the femur, or because of endocrine disorders. 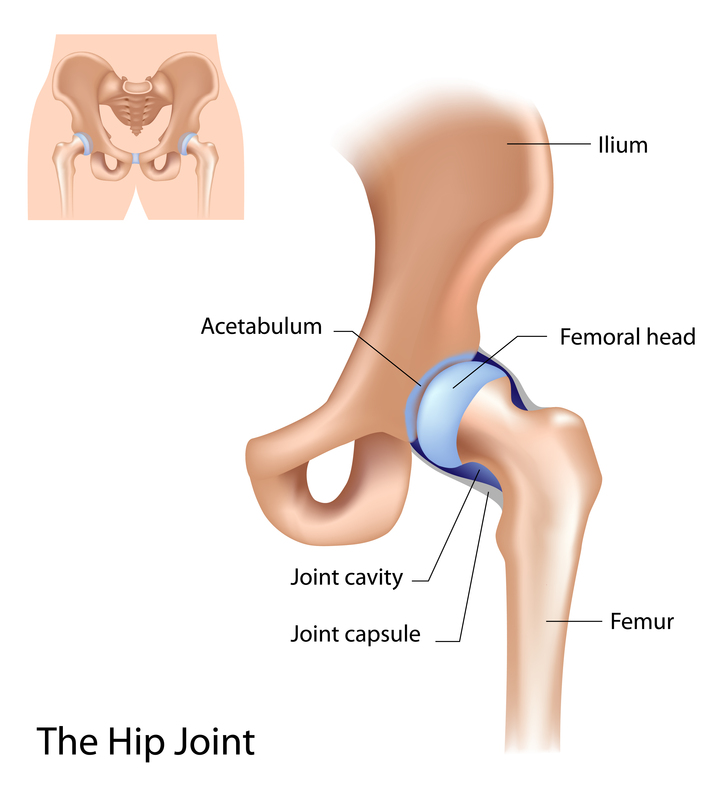 The disease mostly affects one of the hip joint. Snapping hip syndrome - caused by the snapping of the strained fascia lata over the trochanter of the femoral head . Also referred to as coxa saltans. Snapping hip in specific positions seems to make a characteristic popping noise. It rarely causes pain; discomfort is the more frequent symptom, although pain may also occur with time. The people who are particularly vulnerable to these symptom are the athletes practicing sports requiring high load of the hip joint and its twisting, as well as people dancing in the ballet. Fibrosis of the fascia lata may be the result of intramuscular injections previously administered in this area. Osteoarthritis (OA) - is a premature wear and degeneration of the tissues forming the hip joint (articular cartilage, subchondral layer of the bone, synovial fluid, joint capsule, ligaments and muscles). The disease causes damage to the articular cartilage, the deformation of the bones followed by the formation of the osteophytes, subchondral sclerosis and formation of subchondral cyst. Gradually, the limited mobility of the hip join occurs, along with the reduction of the ability to walk. Pain occurs not only during movement, but also at rest (sometimes also at night). The disease usually lasts for many years, and symptoms increase gradually at a different rate. Start from proper nutrition that will provide the body with essential compounds, vitamins and minerals. The diet will help you maintain a correct weight that will not lead to unnecessary loading of the joints, especially of the hip and knee. Perform non-weight bearing exercises at home. Joints do not like to be overloaded, so if are planning any activity, rather choose swimming, cycling or long walks. Moderate activity will strengthen the muscles around the joint while not forcing the whole apparatus too much. Add vitamins A, D, E, K into the daily diet. They stimulate the genesis of collagen, have anti-inflammatory properties and strengthens blood vessels. You can find these, inter alia in products such as: citrus fruits, carrots, melons, garlic, vegetables cauliflower. Apply the appropriate supplement. When choosing the preparation, pay attention to the composition and the form of application. Many pharmaceutical products are composed of various types of enhancers that have nothing to do with improving health and their long-term intake may lead to disorders of other organs. Select preparations with only natural ingredients building the joints, that is hyaluronic acid or chondroitin sulfate. Drink water every day. 2L is the optimal amount needed for the body, water is approximately 75% of our organism, it regulates many of processes, inter alia, it is required for the joints in which the main component of the synovial fluid is hyaluronic acid. Hyaluronic acid needs water to be able to fulfill its role of humidification of articular surfaces.